This article will show you how to use Siri translation in iOS 11 on iPhone and iPad, and also introduce you a tool to help you fix lost data after updating to iOS 11. If you lost your data after updating to iOS 11, you can download and use this data recovery tool to get your data back in the shortest time. It is exciting that iOS 11 brings users so many new features such as the new Dock, Multitasking function, Drag and Drop feature, Pay friends with a message, QR code scanner in the Camera, screen recording, type to Siri and Siri translation function, etc. 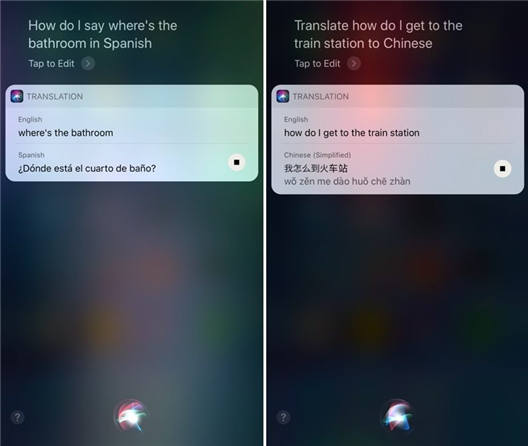 For the translation function of Siri, currently, it supports translating English into multiple other languages including Chinese, Mandarin, French, German, Italian, and Spanish. And more expectedly, Apple is planning to expand this feature to include more languages in the future. If you can’t wait to try out this new feature of Siri, you can install iOS 11 on your device to have a try. And here in this post, we will show you in detail about how to use Siri translation in iOS 11 on your iPhone and iPad. 1. To get started, press and hold the Home button or simply say “Hey Siri”. 3. Siri will quickly respond to your question and translate your sentence into your desired language. If you couldn’t hear properly what Siri translated into another language, you can tap on the tiny play button on the screen to listen again. 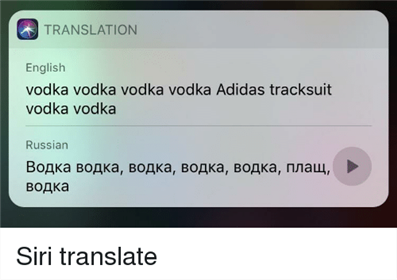 Note: Once you have asked Siri to translate something into a specific language, for example transfer Good Morning in French, if you want Siri to translate the same thing to another language, like simply say “In Chinese”, it will instantly translate it into that language. There is no doubt that losing data is a very common problem when updating to new iOS, it happens every year. If you have made a backup for your iOS device, you can recover your data from iTunes or iCloud backup with ease, what if you don’t have any backup, so, how can you get your lost data back? In this part, we recommend you a professional iOS - data recovery called PhoneRescue to help you get lost data back from device directly (also supports recovering data from iTunes backup and iCloud backup). PhoneRescue is a professional and award-winning data recovering application for iOS & Android, PhoneRescue - iOS data recovery dedicates to help iOS users recover lost data in the shortest time. It supports selectively recovering more than 20+ types of data from device/iTunes backup/iCloud backup directly (whether you have a backup or not), including contacts, messages, photos, notes, call history, calendars, reminders, videos, WhatsApp files, etc. It works on both Windows and Mac computer, compatible with all the models of iPhone, iPad and iPod. That’s all for how to use Siri translation in iOS 11 on iPhone and iPad, so, what do you think of Siri translation? Welcome to leave your views in the comments below. By the way, if you want to recover your lost data after updating to iOS 11, you can have a try on PhoneRescue.